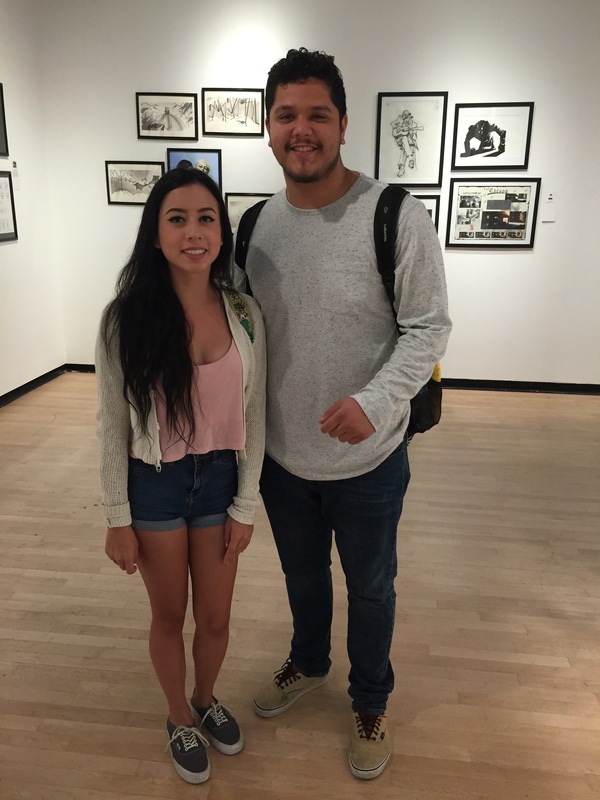 Last Thursday I met one of my classmates from Art110 and his name is Filimon Soltero. His website is filimonsoltero.com if you would like to take a look at his posts. Filimon is a third year at CSULB. He is majoring in Health Care Administration. He lives in Compton and commutes to school. His hobbies are playing video games, soccer and spending time with friends and family. The question of the week asked what we thought about Art110 at the beginning of the semester and how we see it now. Filimon said that at first he thought that he was going to be drawing or painting for Art110. He also didn’t know that much about art. He wasn’t expecting to do different activities but he still enjoyed it. This class has taught him about different types of art. He said that now he views art as something that can be everywhere. How I saw Art110 before the semester started is that maybe we were going to be making drawings or paintings but at the same time I really wasn’t sure what I would be doing in this class. How I view Art110 now, it made me look at art in a different light. There are activities that we did that I would have not seen as art before but now I do. It made me more open minded about art and I think it’s awesome that we get to see different artists every Thursday. Here is a picture of Filimon and I.